I can't speak for Mac users, but updating iOS devices through iTunes on a PC is a chore on par with defragmenting your hard drive. Chances are, you'll first have to update iTunes--download, install, and restart. Then, once your computer's rebooted, you have to download and install the iOS update itself, and the whole process can take more than a half hour. Put over-the-air updates on the top of your iOS 5 wishlist. 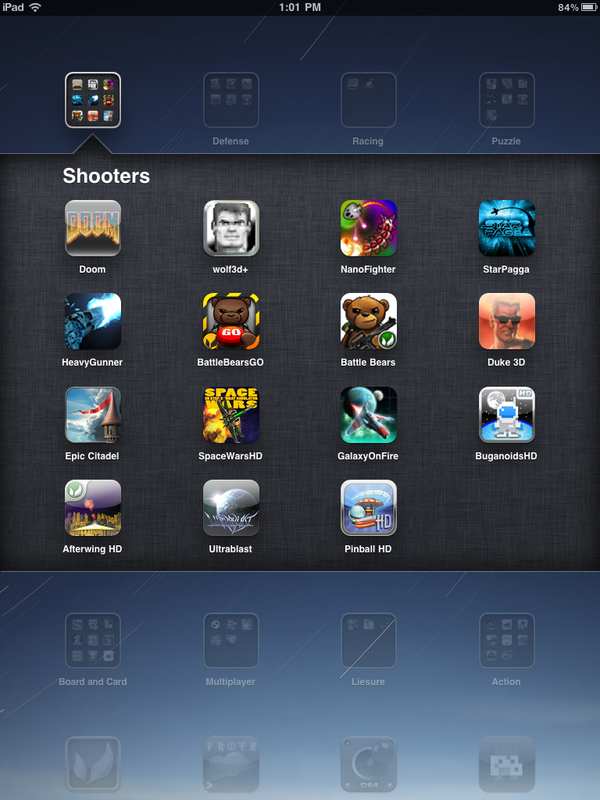 I use more apps on the iPad than I do on the iPhone--and folders are basically a necessity. The iPad's folders work the same as before--drag one app on top of another to rename it--but now you can stuff 20 apps into a folder instead of 12. Folders within folders are still too much for Apple to handle, but not entirely necessary, either. There are two camps on iPad rotation lock. One group says the hardware switch above the volume rocker should be used as a mute button, because it's the same function as the hardware switch on the iPhone, and because muting is useful. I'm in the other group, which thinks the iPad needs a hardware orientation lock for all the shifting around you might do while reading on a couch or in bed. The software switch is too inconvenient to reach for such a handy feature. iOS 4.2 makes the hardware switch into a mute button, instead of a software orientation lock. Of course, the easy solution would be to give users the choice, but that's just not how Apple does things. Though I don't like Apple's implementation of multitasking--the tendency to build up a tray full of rarely-used apps drives me insane, and background processing is limited to a few specific tasks--on the iPad it's an essential feature. I highly recommend switching from Safari to Atomic Web Browser, which now preserves all of your open tabs without the need to reload each page. It's like you never left the app, which is probably the point. As expected, Apple killed the breezy shared printer support that it once promised as part of this update, so you can't connect an offline printer to your Mac or PC and tell the iPad to print from the computer. Instead, only specific networked printers will work, including Hewlett-Packard's ePrint-enabled printers. Fortunately, you can still get third-party apps to do the job. Conversation threading and a unified inbox for multiple accounts are nice, provided you aren't using an alternate e-mail program such as Gmail's Web app. Even if you don't regularly touch the iPad's Mail app, iOS 4.2 adds one killer feature in the ability to open attachments in third-party apps. I was delighted to see that office documents can already be opened in Office2 HD for editing or saving to Google Docs. I haven't spent much time yet with Game Center, Apple's gaming hub, but at first glance I can already see that it's still a disappointment. 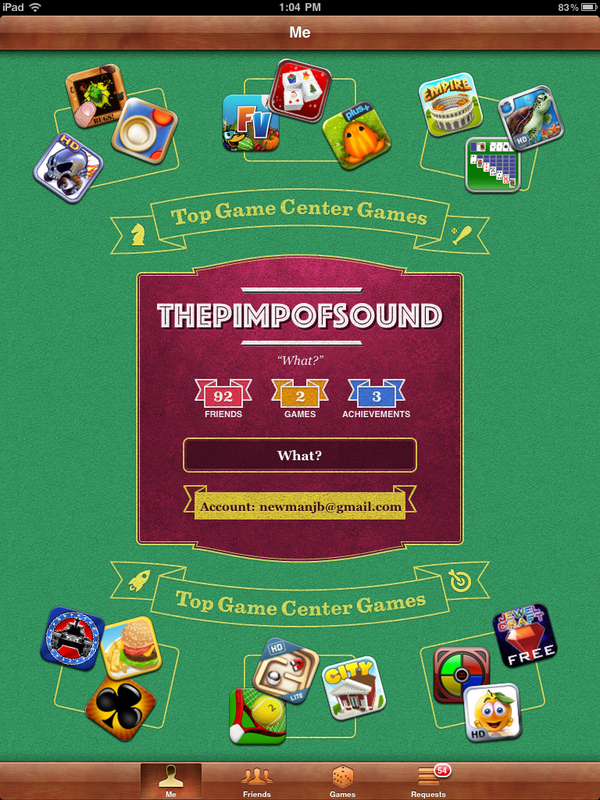 The app fails to automatically check for Game Center games you already own. You can't send messages or compare achievements. The ability to invite friends to a game is cool, but there's no easy to way to see which of your friends have the same game. Without these features, Game Center just feels like a thinly-veiled attempt to sell you more apps.